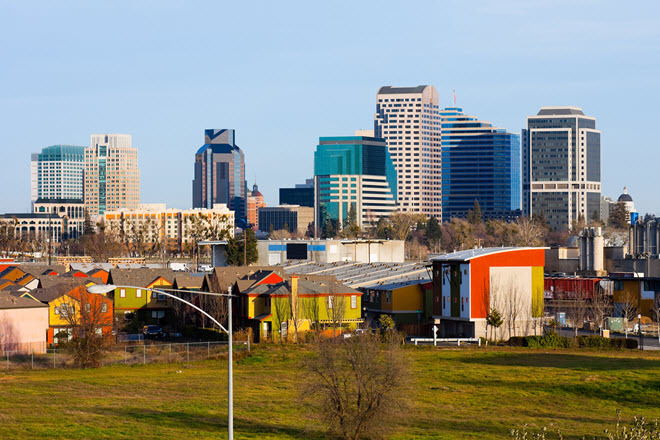 Sacramento, capital of California, is situated about an hour or so outside San Francisco. This growing secondary city is strong in agriculture and hospitality—keys to any thriving food service industry. In fact you’re not very far from Napa and Sonoma—the chief wine growing region of the country, also a natural companion for food. The growth in hotel and convention center construction in the Sacramento area over the last few years indicates a higher demand for food industry professionals, including chefs, cooks, all types of kitchen assistants, wait staff and management. Where the hospitality business is booming, jobs for pro cooks and passionate chefs are plentiful. This is all good news if you’re looking for a culinary arts program in Sacramento. A quick exploration of the region’s top restaurants and chefs—including Randall Selland, Patrick Mulvaney, and Biba Caggiano-- is indication of an exciting and dynamic industry. Go to culinary school in Sacramento and you get the opportunity to study alongside some of the most well-known chefs and owner/chefs in the area. Most of them started their careers as dishwashers and lowly cooks, content to just exist in a professional kitchen. If this describes you then most Sacramento culinary schools will more than get you close to a restaurant, most programs are built around an externship that places you working right in the guts of a kitchen, either in a restaurant, resort, or hotel. Kitchen Academy’s aggressive and popular culinary arts program features accelerated programs that promise to have you working in the food service industry quickly and with the skills you need to succeed. This school is located in downtown Sacramento convenient to everything you need: top restaurants, groceries and markets, and mass transit. Degree programs include Professional Baking and Pastry Diploma and Professional Culinary Arts Diploma. Part of your program includes job placement. The International Culinary School takes you as a novice or experienced chef and kick-starts your career in the food service industry. As its name suggests, it begins with a foundation in international cuisines. But you learn so much more from how to portion food, butcher your own meat, kitchen hygiene and sanitation, and even the basic skills for managing a food service staff. Earn diplomas in Art of Cooking, Baking and Pastry; Associates degree in Culinary Arts; or a Bachelors in Culinary Management.